The festive season is a time full of parties, family get-togethers, peaceful walks and… infidelity. There are plenty of reasons why this time of year often includes lots of instances of cheating. Alcohol consumption is at a high for many people, leading to diminished powers of judgement. It also gives people a ‘pass’ out to leave the house and party. 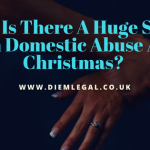 Whether a pre-meditated meet up takes place, or a chance encounter, we receive an influx of enquiries from suspecting partners over the Christmas period and into the New Year. 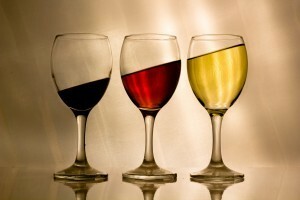 Alcohol is a big contributing factor as to why many affairs occur around Christmas time. Excess alcohol consumption can cloud decision making and inhibitions all but disappear. This doesn’t make the behaviour excusable but it is clear to see how an excess of alcohol, a toast of champagne combined with some intense eye contact can mean ‘one thing leads to another’. The behaviour of someone under the influence can also make cheating much harder to spot, as the guilt is hidden by alcohol. It is highly likely that the behaviour pattern is not typical of your sober spouse. We’re often asked to step in and confirm whether a spouse is cheating, and unless we can provide real ‘tangible’ evidence our clients refuse to truly admit that their spouse is capable of such behaviour, despite having enough reservations to contact us in the first place. All the Christmas time festivities also make it easy for cheating spouses to sneak away and for long absences to go unnoticed and/or unquestioned. 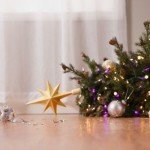 A cheating spouse can easily explain away why they were out so late and came home smelling of alcohol if there was an office party going on, or if they have friends or business associates in town for the holidays (or at least if they claim that they do). It is highly likely that if both partners are employed, that they each have parties to attend. They could be in different part of the country to one another and the party could mean an overnight stay in a hotel. Those who work in retail or businesses in any way connected to the Christmas period often find themselves working later hours to keep up with the demand of the holiday season. If a cheating spouse works in such an industry, they might use this excuse to explain why they are coming home so much later than usual. The parties at work and elsewhere also make it easy for adulterating spouses to find new hookups. Lonely singles may be looking for someone to comfort them and provide companionship during the festive period. Mix in some alcohol, and even the most devoted of spouses may be lead astray and be flattered by the extra attention. While the fact the Christmas holidays are so busy can make it easier for a cheater to explain their absence, it also makes it easier for a suspecting spouse to catch them in the act of infidelity. You’re likely to be spending more time with your spouse than usual on Christmas Day and Boxing Day for example, while you visit family members and friends together. 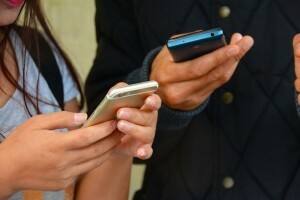 This extended period of time together is the ideal opportunity to catch them in the act of communicating via text messages or emails to the person they are cheating on you with. The combination of parties and alcohol also means more chance that a cheating spouse won’t cover their tracks properly. Getting too drunk and either spending an abnormal period of time away from home (when it is obvious colleagues are back with their partners) or being caught in an opportunist social media photo can provide a vital trail to a cheating spouse. At this point, it’s important for us to highlight that not everyone is a cheat, and it is important to act on rational thoughts and facts. However, by now you may be having nagging doubts about whether your spouse may be hooking up with someone else this holiday season and is continuing an affair behind your back. Here are the tell-tale signs. No matter how sneaky and devious your spouse is, there are always some tell-tale signs that can help you determine whether they are cheating on you or not. It is unusual for an employer to suddenly begin sending an individual on several trips a few weekends a month. If your spouse hasn’t got a new job, but is suddenly having to travel, when they rarely used to in the past, it could be a possible red flag. If you’re friends with any of your spouse’s coworkers, consider giving them a call to innocently ask if they know the name of the hotel that your spouse is staying in. If they aren’t in on the affair and covering for your spouse, you might find out that they have no knowledge of him or her needing to travel for work. This in itself is not enough proof that someone is cheating, but will enable you to build up a portfolio of evidence to prove beyond doubt that you are being cheated on further down the line. Is your spouse suddenly very secretive about their phone, laptop, or other technology? Perhaps it’s because that’s how they are staying in touch with their new girlfriend or boyfriend during the holidays because they can’t sneak away to be with them as often during this busy season. Signs of this may include adding password or lock protection to their devices that they never had in the past, and being unwilling to share them with you. No longer leaving their phone or other technology lying around the house, and constantly carrying them along with them may also be a sign. If you’re thinking to yourself that your spouse would never cheat, think again. Cheating is more common than you may think. According to the link, as many as 21 percent of all British women cheat on their husbands and a staggering 45 percent of men admit to straying from their significant other. These affairs don’t only occur in unhappy marriages, either. They happen to everyone. 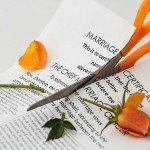 Rutgers University conducted a study in the US that found that 56 percent of men who cheated on their wives reported that they were in fact happily married. If you and your spouse are generally happy together, but suddenly find yourself arguing more often, it may be the stress of the holidays, or it may be a more sinister sign that he or she is cheating. A cheating spouse may suddenly become annoyed at things that never used to bother them. They may be more distant or distracted than usual. Pay attention to subtle changes in attitude and behaviour, especially during the holidays. 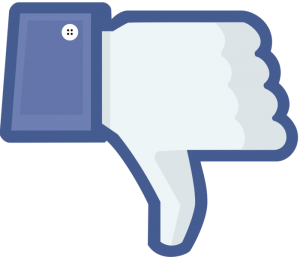 Facebook is cited in a minimum of 1/3 of all UK divorces – a staggering figure in itself. The social media platform is the ideal tool for keeping in touch with people, and that includes old flames, or someone that may be keen on some fun ‘on the side’. You may notice your spouse is far more active on social media, ‘liking’ certain statuses or being ‘tagged’ in some photos of people you have never met before. You may also notice they have made friends recently with the individual they are cheating on you with. Unless your current spouse is a technical whizz, the chances are they are not familiar with all the settings of social media, and certain aspects of their profile and/or social media behaviour can lead to vital clues about their infidelity. The internet has made ‘hookups’ so much easier, but it is also the perfect place to spot unwelcome behaviour. Extra time off around the holidays and more excuses to spend time with your spouse also makes it a great time to ask questions. Ask your spouse how work is going, or if they had a good time at the office holiday party. Get specific, and ask about who attended and what went on during the party. If your spouse must stay late at work repeatedly, suggest that you meet them at the office to go to dinner afterwards. If they are scrambling to make things up or acting odd in either situation, it may be time to start asking more targeted questions. 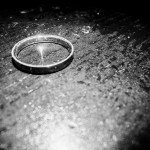 Still not sure if your spouse is cheating on you? It may be time to get some extra help. 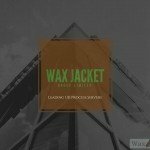 Wax Jacket offer tracing services and physical surveillance that can help provide the evidence you need to uncover a love rat. 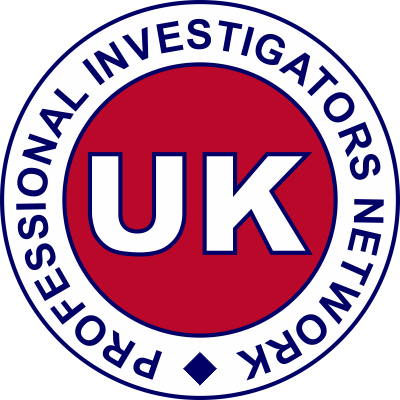 Utilising the latest technology and years of experience at our fingertips we’re able to provide conclusive evidence in almost 100% of cases.